Hold onto your horses, it’s time to get dirty. Do you know what week it is? it’s freaking fabulous fermentation week and we are getting our bacteria on today (no worries, the bacteria we are talking about here aint that dirty). In fact, the friendly bacteria of fermented foods should receive triple gold medals every day, that’s how awesome they are. Let me ask you a quick question, are you feeling a bit skeptical towards actually eating sauerkraut, kefir or opening weird jars of bubbly vegetables? If so, you are not alone. Growing up I was super scared of sauerkraut (and the darkness or accidentally seeing a cover of a horror movie). To be quite honest, I did not give fermented vegetables a chance until the nutrition super-nerd in me was awakened around the age of nineteen. But then.. boy was I hooked or what. 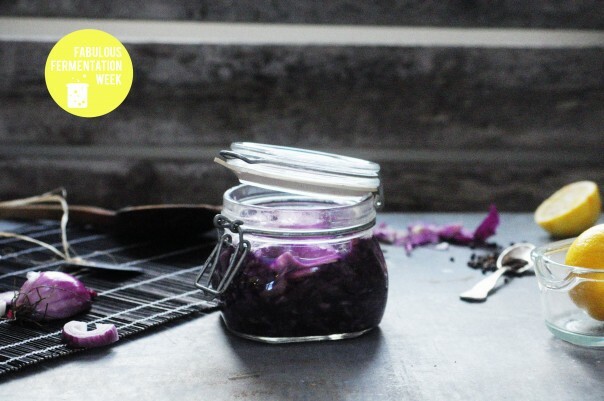 The goal of Fabulous Fermentation Week is to turn skepticism and weirdness into a fabulous party of gorgeous, healthy and totally magical foods. The project is sprouted by Sarah and me and then made possible thanks to many amazing foodie friends (high fives ya’ll) with recipes of their own. Is it overly obvious how excited we are? I hope so, because this is a goddamn revolution and we need to get the entire world onto the fermentation train. You onboard yet? Ps. 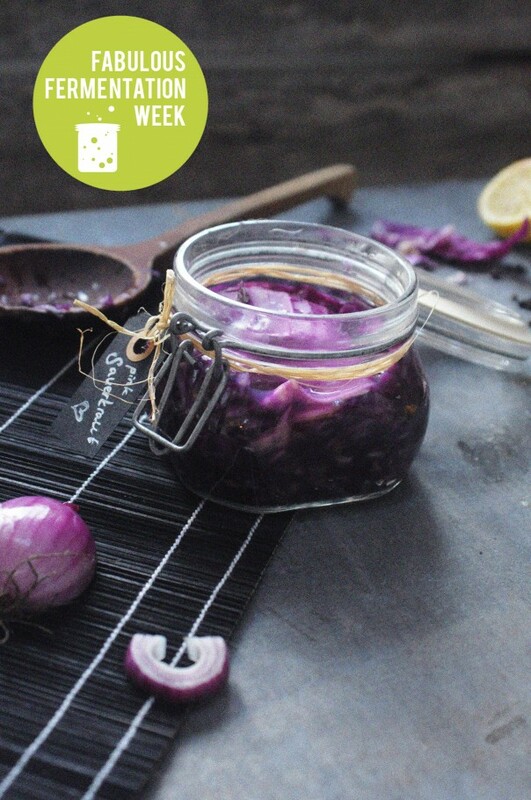 there will be links to all of our friends fermentation recipes at the end of this post and more for every day so check in regularly. A digestive system and intestines full of friendly bacteria might just be the thing keeping us vibrant and even alive at the end of the day. An adult is supposed to have around two to five pounds (1.0 to 2.26 kilograms) of live bacteria inside their body, but low quality foods and drinks, antibiotics (both as medicine and in factory farmed meat/dairy), stress and other ”modern day comforts” like chlorinated drinking water and antiseptic mouthwash kills those friends of ours. This can lead to a leaky gut, candida overgrowth, a really weak immune system, concentration issues and poor development in babies. In short, we rid our system of the ability to take care of unwanted intruders and keep the perfect yet delicate balance. Did you know that when we eat antibiotics it takes about 6 months for the friendly bacteria to be back in full strength? That’s half a year! This is where fermented foods come into the picture. Kimchii, kombucha, sauerkraut etc actually feed the little friends in our belly’s and that’s the reason why fermented foods are called probiotic foods. They are pro-biotic! Lactic acid are among the principal bacteria active in food fermentation and they help the body produce natural antibiotics, anti carcinogenic compounds and even other compounds that are able to inactivate toxins and poison. I told you they were rock’n roll! This lactic acid also evens out blood sugar, making us less prone to developing diabetes or storing too much fat. One more thing, fermented foods with it’s extremely low pH level will turn your body into an alkaline angel and that we want. Now, don’t just go to your nearest supermarket and get a probiotic yoghurt or something, how freaky would it be if every person on the planet walked around with identical bacteria in their gut, eh? 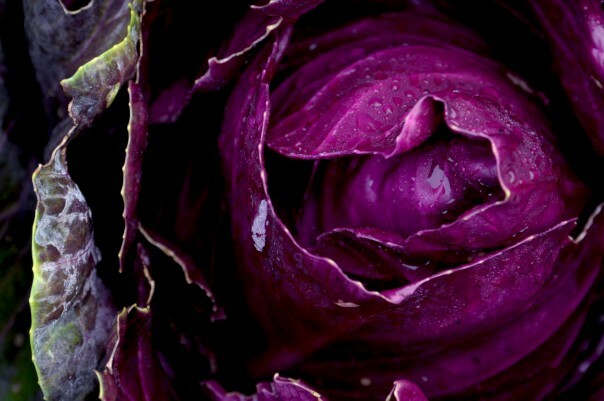 I say – go find some gorgeous veggies and start fermenting yourself, it’s way easier than you could have ever imagined. Plus, did you ever wonder why wine, chocolate and cheese is so alluring to most people? They are fermented foods, duh! This is what alkalinity in a jar with a side of flavor explosions tastes like. It’s easy, it’s cheap and it makes you feel like a true magician. 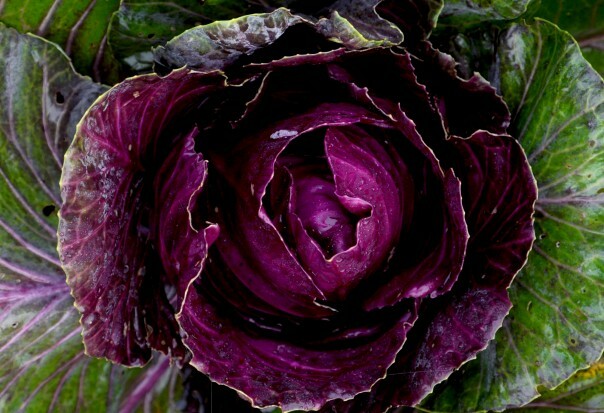 Remember to buy organic produce (for many reasons) but when fermenting it’s mostly because a head of cabbage heavily sprayed and fast grown has literally not got what it takes to turn into a fermentation success. 2. Add peppercorns, grated horseradish and both juice and zest from the lemon. Mix thouroughly. 4. Press the sauerkraut firmly using your fist or the back of a wodden spoon, now put those two large leaves of cabbage on top of the sauerkraut. These will help keeping oxygen away from your concoction and when the sauerkraut is done you just toss these leaves away as they may have some black spots or such on them. No worries here. Use your common sense and nose when deciding if your fermented veggies has gone bad. The probability that they do go bad is very low if you follow these instructions. 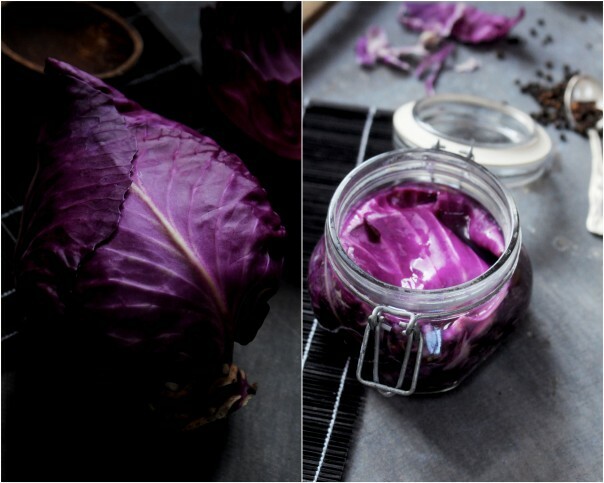 Enjoy your purple sauerkraut mixed in a salad, together with some freshly cooked millet, in a nori wrap or a veggie burger. Hey! Let’s give a shout out for your favorite fermented foods in the comments below (I’ll start!) then share with your crew and get this fabulous revolution rolling! As always, I do love you.